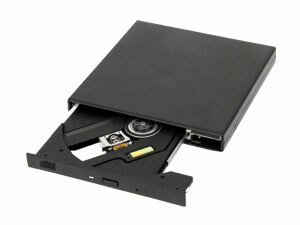 This slimline optical drive comes with a 2.5" IDE cable with three connectors. The first connector goes to the Amiga's internal IDE controller, the second one is connected to the CF card adapter, the third connector goes outside to the CD-ROM drive. The power for all devices is supplied over the IDE cable. There are 3 variations of this product available, please make your choice from the product list. All items can also be configured to your needs, please use the "Configure Item" link below the product text to do so.